The head of a major UK government initiative to upskill thousands of public servants is on her way to Australia to share her skills with the federal government. Annette Sweeney, who has led the UK’s Government Digital Service Academy since May last year, wrote in a blog post that she would be moving Down Under this autumn, “where I will continue to share my skills and experience with the Australian government”. The move coincides with the start of a three-year roll out of digital ‘capability initiatives’ by the Australian Public Service Commission (APSC) in partnership with the government’s Digital Transformation Agency (DTA), which will include “quality assured training to develop digital specialist skills”. 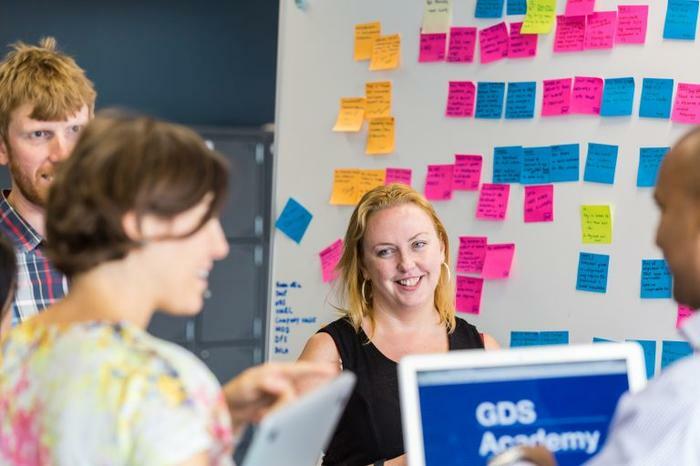 The GDS Academy was launched by the UK’s Department for Work and Pensions in 2014, and later moved to the Cabinet Office. It provides training and short courses for public servants from national government and local authorities around digital and agile delivery, user-centred design and digital leadership from a number of regional centres. Since its launch the academy has helped improve the skills of more than 6,500 government employees. Late last year the academy said it would be working with the APSC “to address their capability challenges in the coming months”. A representative from the commission travelled to the UK to take part in an academy course in November last year. “It’s rewarding to be able to work collaboratively with other countries – helping to draw inspiration from each other and further improve the learning and development offer in digital,” Sweeney said at the time. “We’ve learned that we will often encounter similar challenges on our journey, but by working closely with our international colleagues we can help to not only solve them for the UK, but internationally too,” she added. It is unclear in exactly what capacity Sweeney – who didn’t respond to requests for comment – will be working with government. The DTA states that ‘helping to build digital skills capability across government’ is one of its responsibilities. A spokesperson told Computerworld that Sweeney would not be joining or consulting for the agency nor would the DTA be launching an academy. Nevertheless “we look forward to welcoming her to Australia” the spokesperson said. The APSC would not comment on Sweeney’s employment, however, did confirm that it is working with the DTA to improve the digital skills of the public service. “A program of capability initiatives will be rolled out over the next three years, helping to ensure the APS is better skilled to support the digital transformation of government,” a spokesperson said. “A range of talent strategies will be implemented to attract and retain the digital skills the APS needs now and in the future. This includes digital aptitude testing, digital graduate streams, mentoring and professional development,” the spokesperson said. A census of Australian public service staff taken in 2015 found that 35 per cent had received no formal digital skills training at work, while 28 per cent said any learning had happened on an ad-hoc basis. The majority of census respondents indicated that they knew their agencies need to make greater progress on digital transformaiton, but felt under-equipped to do so. Former members of the DTA’s senior ranks this week called on government to boost the digital skills of APS employees. “Government urgently needs to conduct capacity and capability planning for the future public service,” stated a senate committee submission from former government chief digital officer, Paul Shetler, former senior digital advisor Jordan Hatch and former digital marketplace head Catherine Thompson. “As part of this, the public service should establish a widespread digital capability program, working across all levels of seniority,” the submission added. Appearing before the Senate’s Finance and Public Administration References Committee scrutinising the digital delivery of government services on Wednesday, Shetler praised the UK’s Academy. This week also saw the signing of a memorandum of understanding between the DTA and the Australian Information Industry Association around a number of initiatives including “building digital capability programs”.